Where did the iconic Detroit "D" come from? Have you noticed the different Old English D's? The Old English D has come to represent more than just the Tigers. 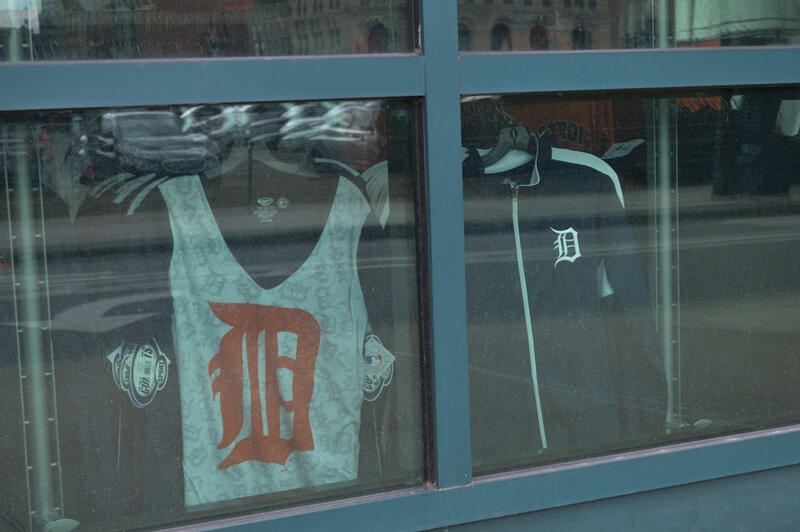 Variations on the D can be found all around Comerica Park. The D at this entrance to the park is different than the D on the box office, as shown on the next picture. The D on the box office has two vertical lines on the left, where as other D's have three. Even Tigers swag have different variations on the D.
Some of the Old English D's have rounded tops, as pictured here. 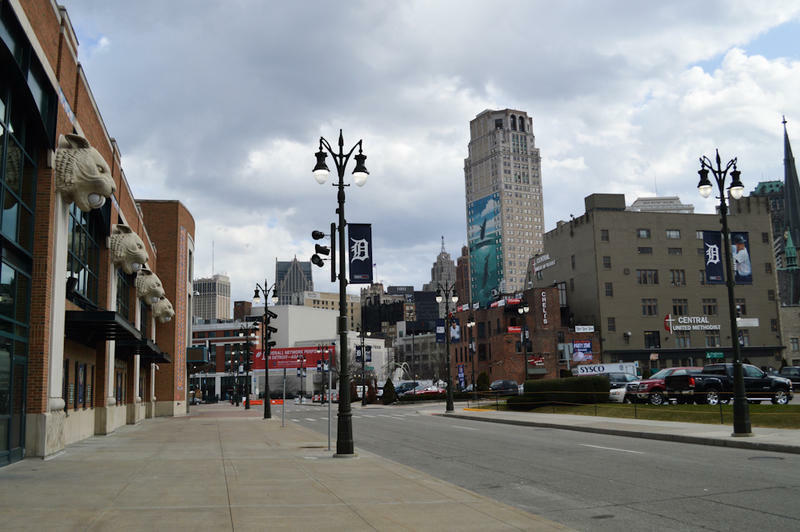 The Old English "D" has become emblematic of the city of Detroit — it can be seen tattooed on forearms or stuck on the bumpers of cars, and of course, all over Comerica Park. The baseball team popularized the D, but where did it really come from, and why has the entire city rallied behind it? That’s what Michael Hesser wanted to know. Hesser noticed the Old English D’s popularity when he moved to Michigan from Kansas nearly 20 years ago. He’s been asking anyone he could about the history of the D since then — history buffs, friends, sports enthusiasts. Everyone told him that the D’s roots are in the Tigers, but he wanted to know more. What’s the source and the history of the iconic, calligraphy Detroit "D"? To find out, we had to go back a couple centuries to 1150. 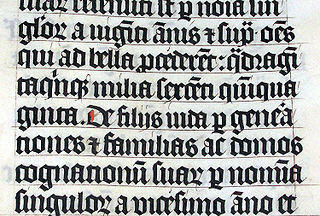 An example of blackletter in an old Latin Bible. That’s when the Old English typeface hit the scene. Back then it was called blackletter and it was a pretty common font for bibles. It was used for a few centuries until more modern fonts became popular. 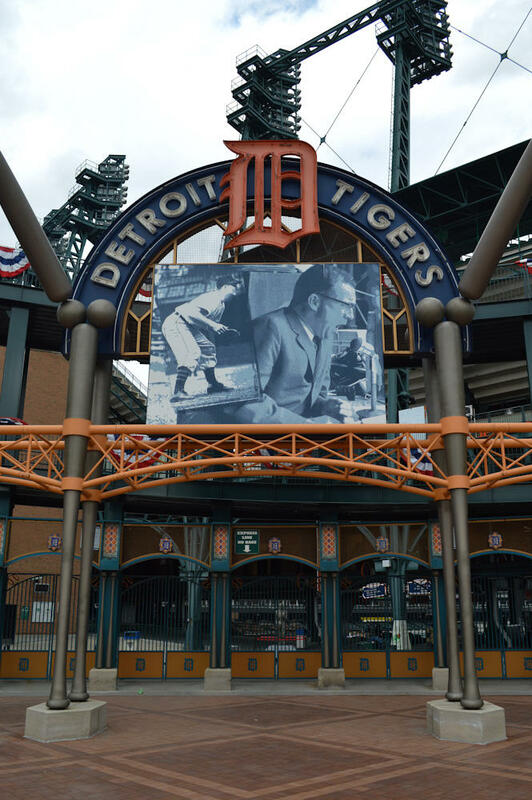 A major Detroit institution used the Old English font before the Tigers — The Detroit Free Press. “When they chose that font, what they were saying was, 'We’re old school, we’re traditional, we’re established,” Joe Grimm said. He’s a visiting editor in residence at Michigan State University’s journalism school, and a former Free Press journalist. Photo of Detroit Free Press papers from 1838 and 1839. The Free Press adopted the font when it was founded in the 1830s, and it hasn't strayed from it since. Then in 1901 the Tigers came along. Three years later, they were donning the Old English D on their uniforms. You might assume that the second the Tigers adopted the Old English D, it became popularized and adopted as the symbol of the city. Especially since Tigers games today are so saturated with the D.
But things were different back then. “In fact the average person couldn’t really buy a baseball cap with this D on it until the years following World War II,” Todd Radom said. Radom is a graphic designer that specializes in branding and identity for professional sports teams. Not only did the D not rise to instantaneous popularity, but it also didn’t have a definite form. 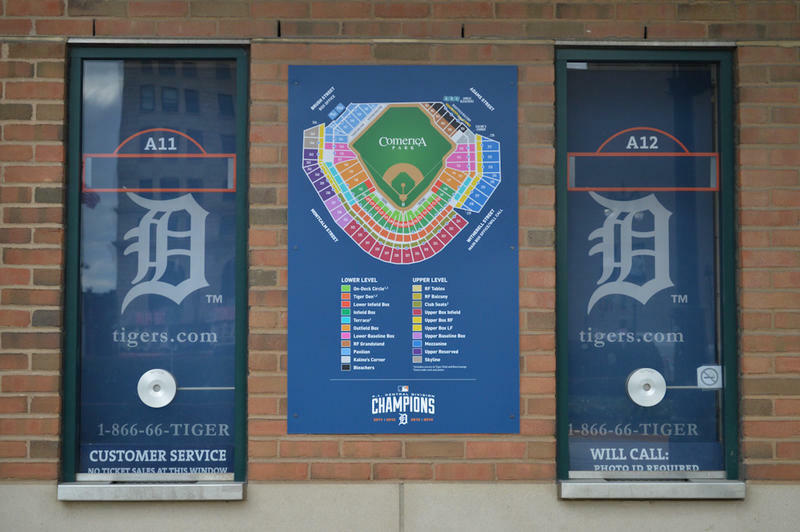 The D on the Tigers' hats is different than the D on their uniforms, and the D on the gates of the stadium is different than the D on the banners hanging from the street lights. It turns out the Tigers' Old English D has seen a lot of changes in the last 100 years, and the reason why is pretty simple, Radom said. “Today, when it comes to our branding, we’re used to uniformity, which is kind of funny because we’re talking about a uniform,” he said. Radom said most brands are digitally generated, so the same image is used and replicated over and over again. When the Tigers first began, that technology obviously hadn’t been invented yet. Radom says one manufacturer produced their uniforms, and another did their caps. It was all done by hand, and they cut the D for the uniforms out of felt and sewed it on, while someone else embroidered the D on the baseball caps. You can see the myriad variations in this gif, which shows 31 Detroit Tigers Old English D's from the early 1900's to today. These images came from the Free Press, which breaks down the D's by era. You can get a reprint of their work here. The Tigers have used 31 different D's from the early 1900s to today. Credit Art by the Detroit Free Press, animation by Michigan Radio's Paige Pfleger. It’s kind of a branding nightmare — an identity crisis, of sorts. People all around the city are probably questioning their forearm tattoos of the Old English D, wondering which one exactly they put on their body. Is it the Ty Cobb "D," or the the current uniform "D"? The Tigers aren’t the only ones in the MLB with this branding problem — the New York Yankees have subtle variations in the caps, their uniforms, and their printed logo as well, as you can see here. But Radom said that this branding nightmare hasn’t really affected the saliency of the symbol. The D’s popularity came from a culmination of factors, most of which had to do with timing and a bit of superstition. In the 1930s, the Tigers tried out a block letter D instead of the Old English one. This met a bit of a public outcry, especially since the Tigers were experiencing a losing streak. They brought back the Old English D in 1934, and in 1935 they won their first World Series against the Chicago Cubs. They stuck by the Old English D after that, and they won again in 1945. But, it wasn't until 1968 that the Tiger's old English D came to really symbolize the entire city, not just America's pastime. 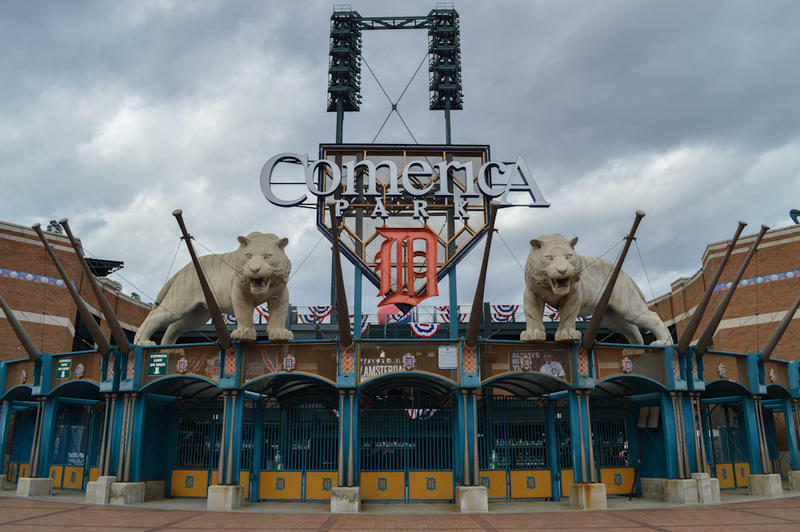 But Joe Grimm, formerly of the Free Press, said that it wasn’t until 1968 that the Tiger’s Old English D came to really symbolize the entire city, not just America’s pastime. The Detroit riots of 1967 left the city in shambles — 43 people died, more than 1,000 were injured, more than 300 families were displaced, and the damages were estimated to amount to $50 million, according to Ronald Young's book Revolts, Protests, Demonstrations and Rebellions in American History: An Encyclopedia. In fact, the D on the Tigers' uniforms from that World Series is the same D that can be seen on the Tigers' hat today. “At that point, the relationship between the team and the city was really cemented on a national stage, and that stage was the World Series,” he said. 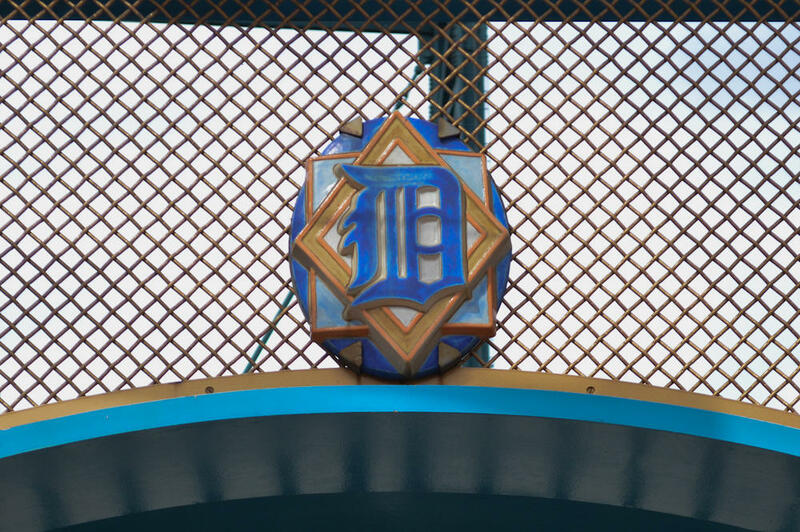 Whether you’re a Tigers fan, a Detroiter, or just a Detroit enthusiast, the Old English D has become one of the most salient symbols of the Motor City. It’s iconic. It’s classic, and it’s rich in history. 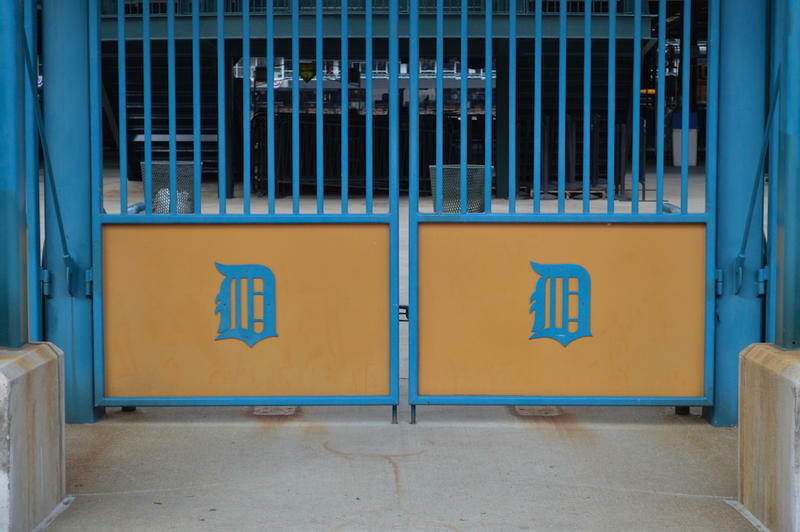 It represents the Tigers, but it’s come to mean much more than that — the Old English D is a symbol that people can rally behind to show their Detroit pride. Michigan Radio's Paige Pfleger discusses the iconic Detroit "D" on "Stateside with Cynthia Canty"
8 Mile Road is eight miles from where? When Michael Imperiale moved to Michigan from Brooklyn, New York, he noticed the mile road system and wanted to know what it was all about. "I've asked people from time to time, occasionally, and no one seemed to know," Imperiale said. He's a professor of microbiology and immunology at the University of Michigan. Asking his friends was a dead end, but that didn't stop Imperiale's curiosity. 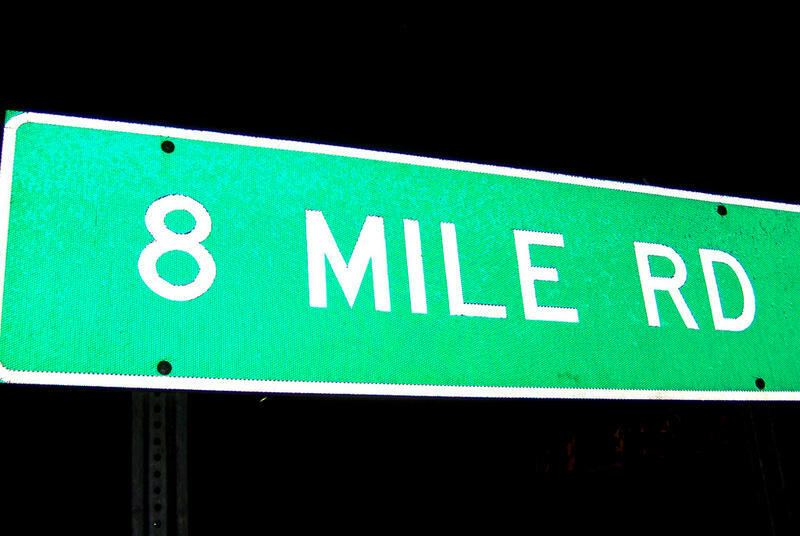 He took to M I Curious and asked a simple question: 8 Mile is 8 miles from where? 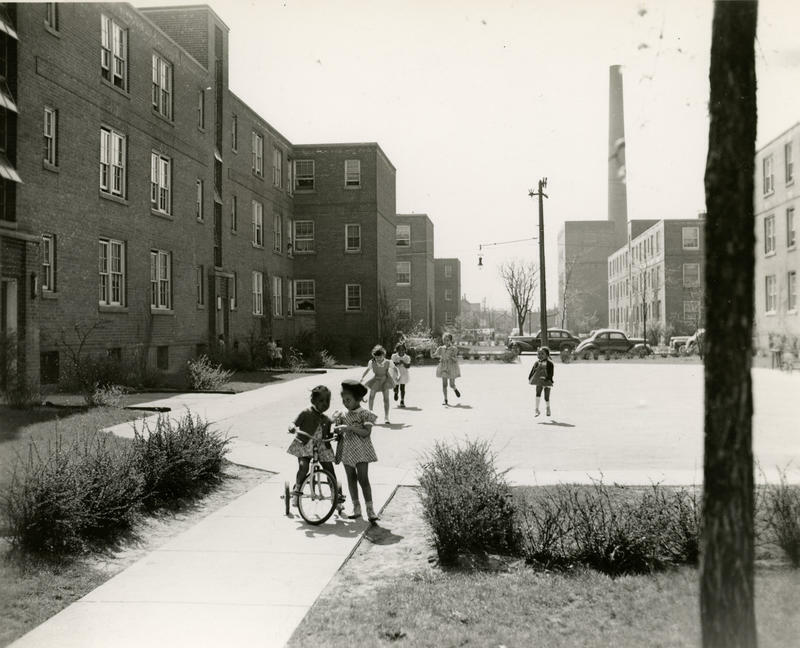 If you remember the projects, you might picture the six identical high-rises on the city’s near east side. Those were the Frederick-Douglass Towers, and they were built in the 1950s and finally destroyed in 2014. Is the chickadee population in decline in Michigan? Michigan Radio's M I Curious project is a news experiment where we investigate questions submitted by the public about our state and its people. 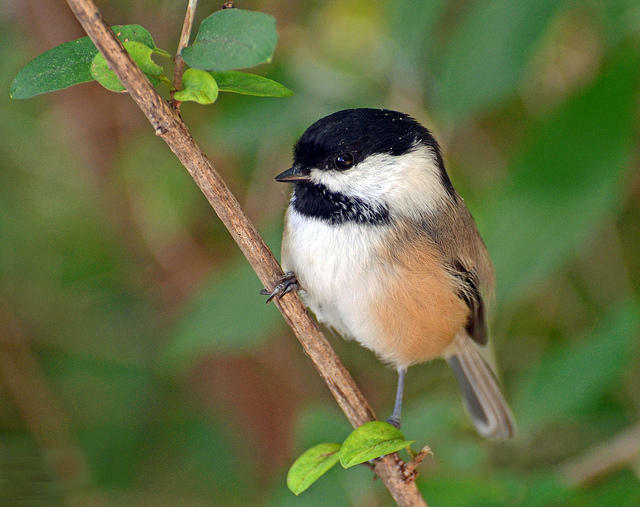 "It seems to me that there are fewer chickadees in Ann Arbor than there were 40 years ago. Is that true and, if so, why?"